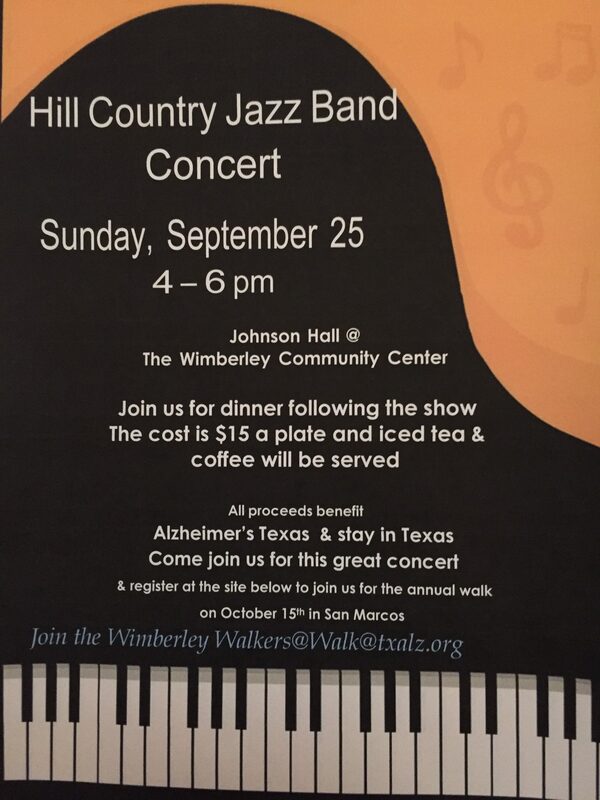 Angels for Elders & Wimberley Home Health will again sponsor The Hill Country Jazz Band as they present live music at the Wimberley Community Center on Sunday, September 25th from 4 – 6. Following the concert a dinner will be put on with all proceeds to go to Alzheimer’s Texas. Dinner is $ 15 per plate and all donations are welcome! Come Out and enjoy the great music and contribute to this worthwhile organization!